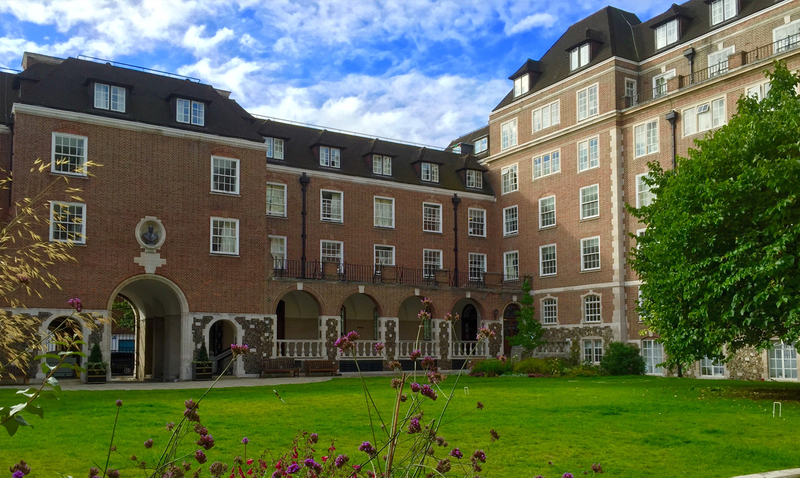 Goodenough College, tucked away in leafy Mecklenburgh Square, you will find this venue both inspiring and relaxing in its quiet and informal atmosphere. Refurbished in 2014, Goodenough College is a Grade II listed London House with 6 function rooms, all with their own personality, from oak panelled walls to high vaulted ceilings. The Great Hall is the largest room and by far the grandest. With its high vaulted ceilings and oak panelled walls this is a unique space for any event. This prestigious room can stage many types of events such as product launches, team building activities, Christmas Parties as well as Summer Parties. It is the preferred room to contain the many royal visits and ambassadorial receptions the College has enjoyed over the years. By day, the Great Hall, with its many windows and overall space is an ideal setting for large conferences and events. With the lights dimmed and the candles lit, the room’s character is transformed and it becomes the perfect setting for an elegant formal dinner. Goodenough College also boasts a very impressive grassed quadrangle suitable for a variety of outdoor team building events. This space is an unbelievably rare feature for a Central London venue, and is a space we are very familiar with. Ideal for: Crystal Challenge, Around the World, Stocks in the City, The Ultimate Team Build, Get in the Zone, Escape the Box, No Ordinary Quiz, Murder Mysteries, The Killing and much more!